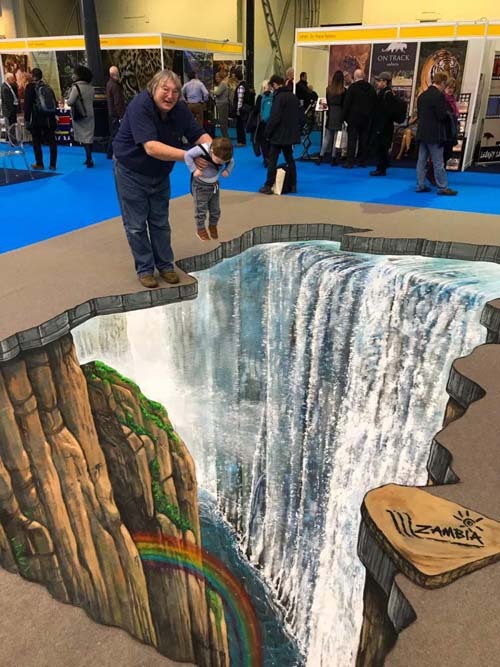 Zambia Tourism brings the Victoria Falls to London by recreating a 3-D version across a huge area of Destinations: The Holiday & Travel Show, providing the illusion of being right there in Zambia. As thousands of holiday seekers descend on Destinations show over the coming days, Victoria Falls is likely to be on the bucket list of many seeking adventure and romance. The 16 x 10ft art installation has taken over a week to painstakingly create and you can see how they did it in the following time-lapse video. Visitors to the show are encouraged to take a picture of themselves in the Devil’s Pool (nature’s ultimate infinity pool, close to the edge of the Falls) and post the photos on social media. 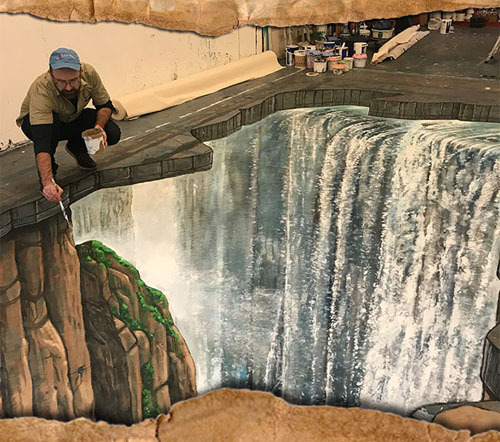 Donald added, “Visitors will love this mini version of our famous falls, so imagine how much they’d enjoy the real thing in Zambia”. Keep an eye on Zambia’s social media and their website to see more images of our amazing 3-D Victoria Falls come to life. Destinations: The Holiday & Travel Show runs from Thursday 1st – Sunday 4th February 2018 – so you’ll have to be quick to catch it. Meanwhile, head over to Zimbabwe or Zambia (the Falls are right on the border and can be visited from either country) and you’ll find the real thing is open every day.